Well, it’s the Fifth Tuesday of the month and that means Quadrant II time in my division. If you are familiar with Stephen Covey’s book “First Things First” you would be very familiar with his Time Management Matrix. Most leaders and managers are very familiar with the matrix and of Covey’s insistence on finding quality time for “quiet focus” but they just don’t practice it. I make it a habit to practice Quadrant II time in my division; it is my way to “force” my managers to focus, to plan and to learn. Quadrant II is the quadrant of personal leadership and for personal growth and yes, team growth. It is one of the most important things you can do for your managers and your organization. It’s a critical time to “force” your key players to pause, to re-create, to plan, to build relationships and above all to learn. So during our Fifth Tuesday of the month, I teach, or someone on the team teaches or we bring someone from the outside to teach us how to relax, to learn new information, to think strategically so we can stay competitive and to improve client services. So, today as we were doing our Fifth Tuesday thing, it hit me: a good leader teaches. 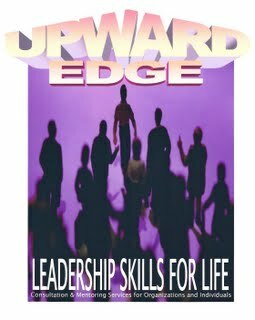 The leader teaches to sharpen the skills of his staff; to prepare the staff and the organization for the future; to improve customer service, service outcomes and above all to teach his staff how to relax, to reflect, to re-create and remind them of the sacredness and importance of this time. My managers love it. So carve out a time for yourself and for your managers to focus on and to spend quality time building your team and growing your organization. This entry was posted in Leadership, Reflections and tagged focus, Leadership, learning, new things, re-invent, recreate, Stephen Covey, Strategic, teach, teams, Time management, timing, vision. Bookmark the permalink.